Continuous Rapid Sealers may be the most efficient, versatile semi-automatic sealing machines on the market today. 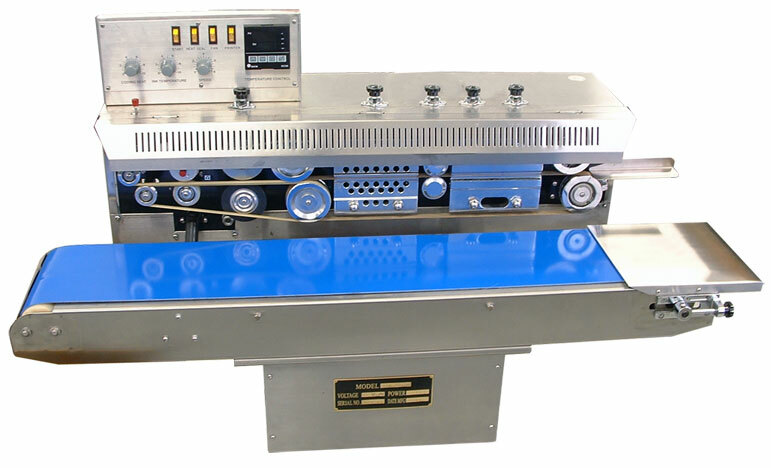 Also known as “band sealers”, these rapid sealers utilize a conveyor belt to maximize sealing capabilities. The extra seal embossing ability integral with these continuous rapid sealer machines make them the perfect solution for companies needing a means to include lot and serial numbers, company names and brand names on their products. All of these machines are also available in Stainless Steel and include specific temperature controls and other features that are necessary for the modern production environment.